W. W. Norton & Company, 9780393733396, 256pp. 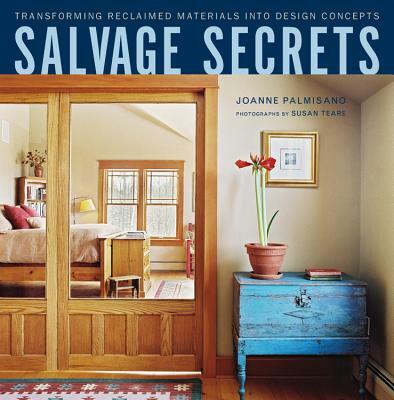 Here, award-winning designer Joanne Palmisano presents an inspiring, practical guide that is also a striking visual tour of the full range of interior design possibilities incorporating salvaged materials. From using recycled wood as vintage flooring or accent beams to reclaiming stone as a kitchen island or fitting salvaged tiles into a bathroom backsplash, the book covers a range of materials and design concepts for different rooms and supplies technical information about what to keep in mind (size, shape, color, structural needs, etc. ), how to use the salvaged materials most effectively, and where to go to find them. For more information, check out the Salvage Secretsblog to explore the online world of all things salvaged, recycled, upcycled, vintage and reclaimed.